While the jacket looks nice and fits well at least 3 of the buttons have failed already. 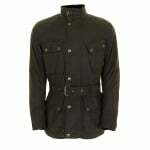 Great Jacket, with the lining out its brilliant for the summer. Very comfortable bike jacket. Perfect for casual use. The jacket feels well made and safe but there are too many downsides to make it a keeper. As noted elsewhere the studs are weak and the zip rides up from the lock system at the bottom and without a secure stud to fasten it will open to the next stud and beyond. I should send it back but... Feels warm and is probably waterproof but with an unlocked gaping bottom it may be inclined to let rain in. Good looking..nice fit...not perfect. 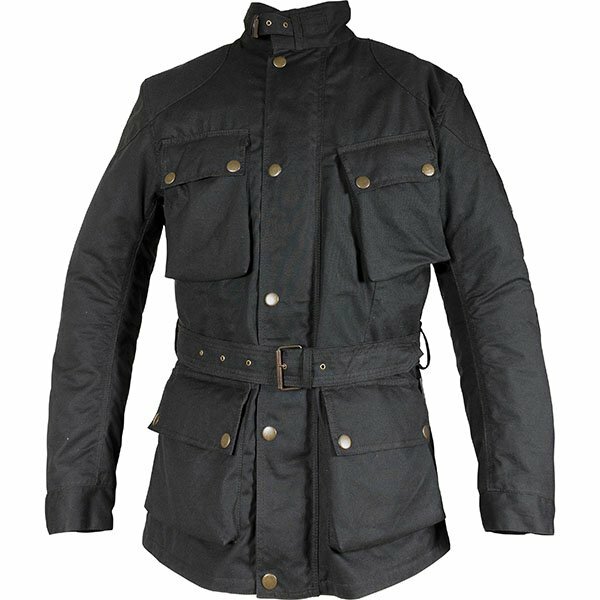 Wanted a Belstaff Trialmaster to compliment my Mojave jacket. Bought this after a recommendation from my brother and I'm very pleased with it. Very good quality and looks the part. Would recommend it to anyone. It's not Belstaff quality but it's a third of the price. Fantastic value for money. I was attracted to this jacket as an alternative the the more pricier, branded and more premium originals. Being 5'7" (42" chest, 31" waist) I originally tried a Medium and whilst it fitted perfectly around the shoulders it was like a barrel around the waist. I now have a Small and it is a slightly tighter fit around the top but I no longer look like I'm wearing a skirt whilst on my bike, I still have enough reach to ride comfortably and safely it must be noted. The jacket seems well made and is comfortable to wear, even with the armour. I haven't found any problems with the buttons popping open, although I will say the main belt and also fastener around the neck are both flimsy and quite fiddly. You will need more layers underneath if it's down in the single figures, and I've yet to test in the rain, but I'm well pleased a sub £200 jacket looks this good and ticks many of the boxes I need. Fantastic service and returns from SportsBikeShop it has to be said once again. The XL fits nicely. Often, a bigger jacket can fit like a potato sack but this one feels fitted while leaving enough room for a large chest and a couple of underlayers. Warm and comfortable, the armour sits nicely in the right positions. It's very practical too with big, easy to get to pockets which are easily fastened. Everything feels good quality - a nice sturdy zip and big poppers. Does the job, but on opening the packet one of the studs came off the cuff straight away, and the zip sticks a bit. I have just done 300 miles in November without the lining and it was warm enough. I removed the lining because it made the jacket feel tight.